How danger is Carbon Monoxide? Carbon Monoxide is colourless, odorless, tasteless poison that is produced by the incomplete combustion of fuels (e.g., wood, charcoal, heating oil, petrol, natural gas…etc.). It binds to the hemoglobin in the blood and reduces the amount of oxygen being circulated in the body. 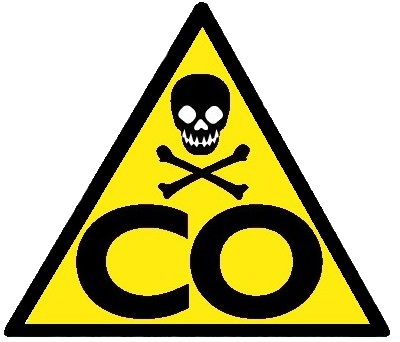 In high concentrations, CO can kill in minutes. 35ppm: The maximum allowable concentration for continuous exposure for adults in 8 hours period. 220 ppm: Slight headaches, fatigue, dizziness, nausea after 2-3 hours. 400 ppm: Frontal headaches within 1-2 hours, and life threatening after 3 hours. 800ppm: Headache, dizziness, nausea within 45 minutes. Unconsciousness after 1 hour of exposure. 1,600 ppm: Headache, dizziness, nausea within 20 minutes. Unconsciousness after 1 hour of exposure. 3,200ppm: Headache, dizziness, nausea within 5-10 minutes. Unconsciousness after 30 minutes of exposure. 12,800 ppm: Immediate physiological effects. Unconsciousness and danger of death after 1-3 minutes of exposure. Why it is important to have Carbon Monoxide Detector? As Carbon Monoxide is colourless, odorless and tasteless poison, it is particularly important to have a Carbon Monoxide Detector when you are sleeping. When you Carbon Monoxide Detector alarms, you can escape the room before getting any symptoms of poisoning CO. The qualified Carbon Monoxide Detectors should obtain approval of EN 50291 standard. What should we do when CO occurs? 3. seek medical advice immediately if in doubt of getting CO poisoning.